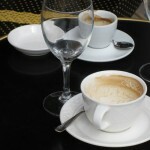 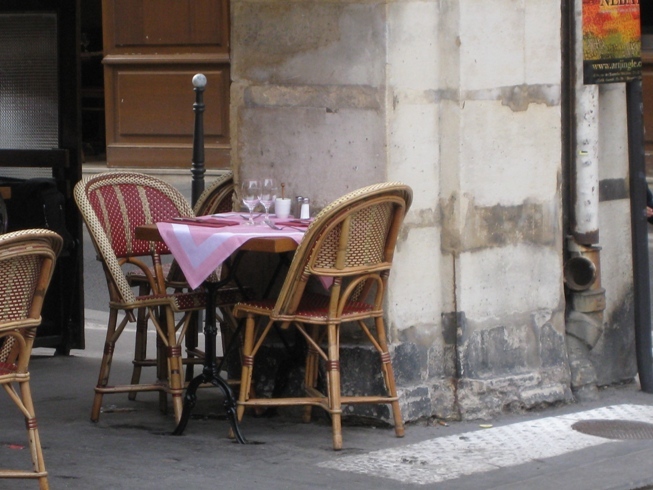 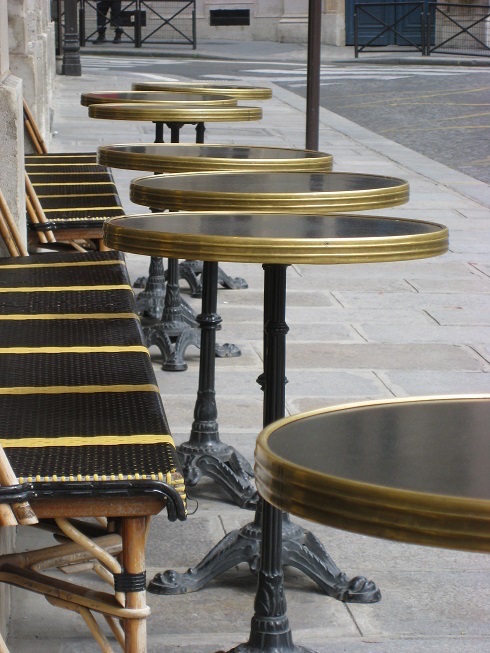 An empty café in Paris is a thing of beauty, all the more so for its rarity. 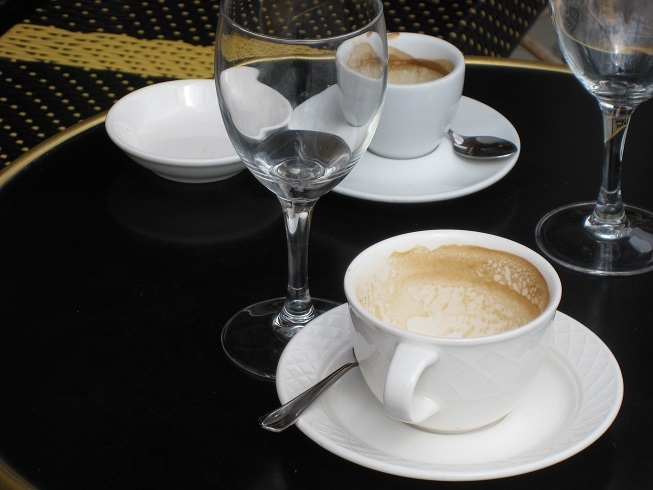 You might think the cups and glasses, stained with leftover coffee and wine, would look lonely but there is a world of difference between loneliness and solitude. 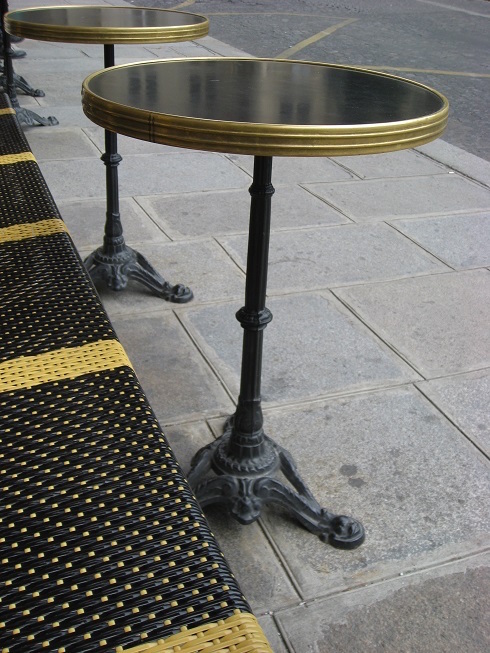 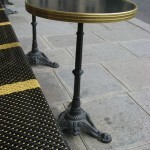 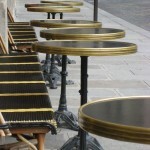 Clear and without clutter, without people crowding and crowing, the proud stance and small round expanse of the café table shine. 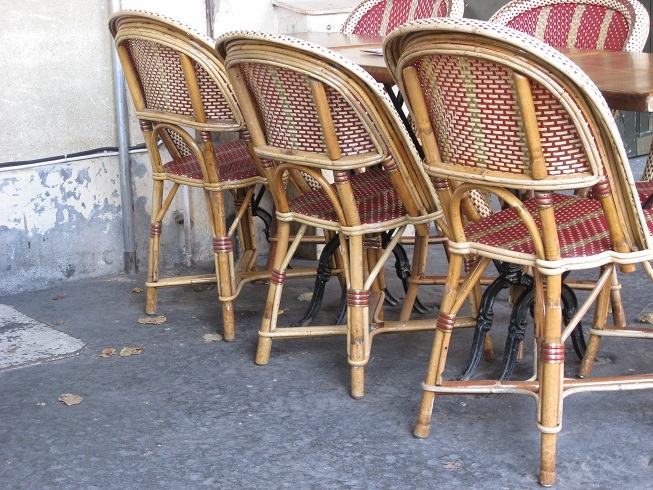 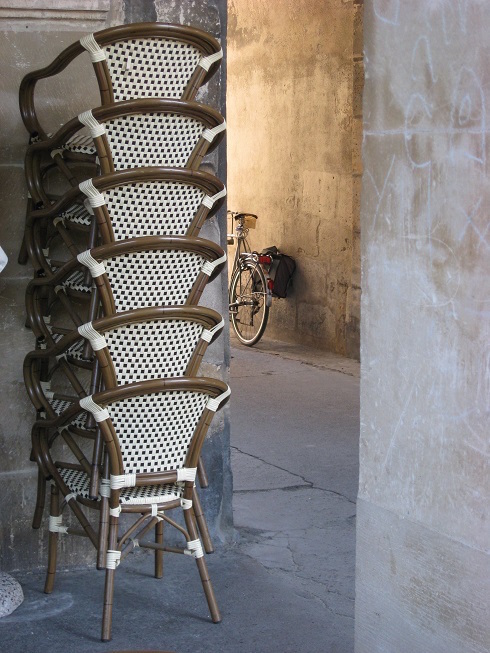 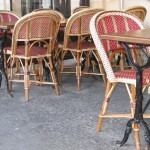 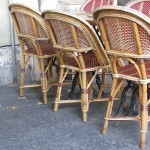 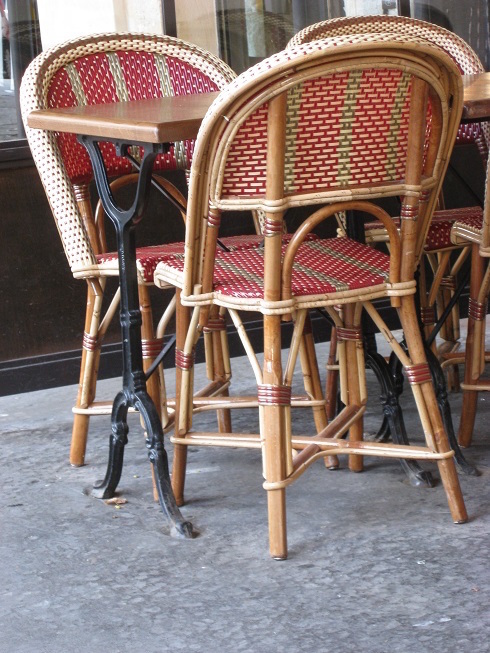 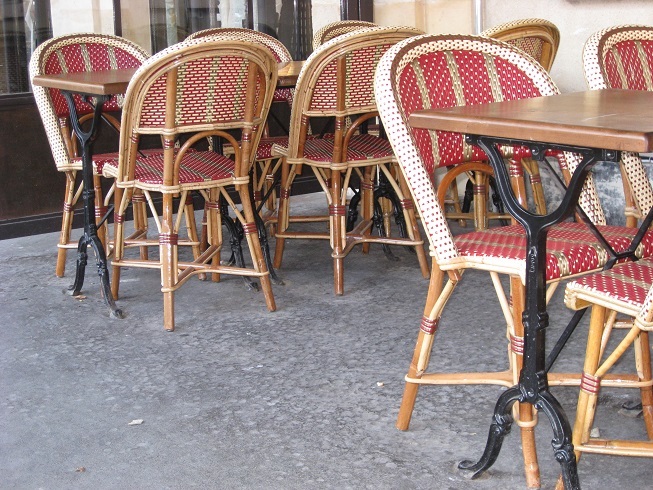 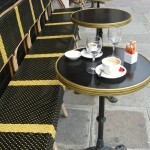 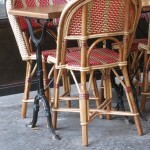 Wicker chairs commune quietly, contemplating the great grey Paris morning or languishing in the late afternoon light. 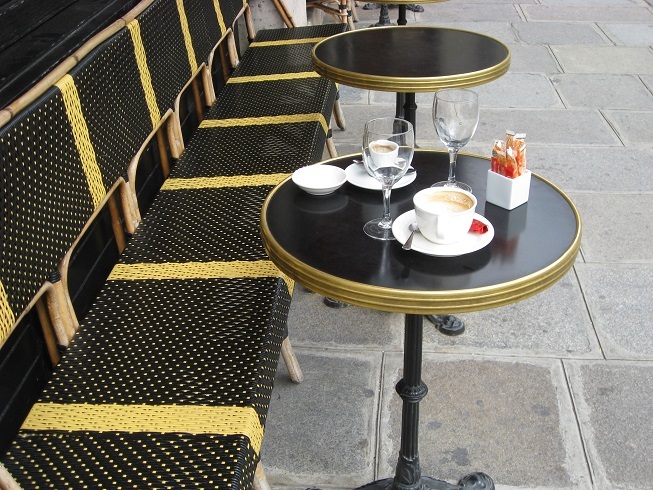 An empty café is a void of quiet idleness. 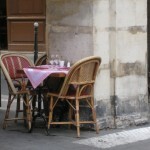 A deserted oasis. 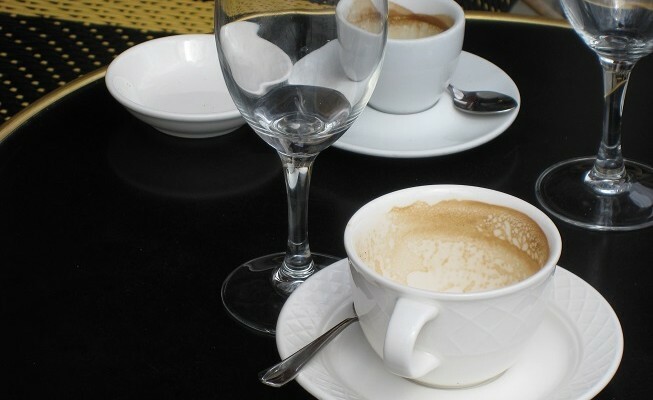 A momentary abundance of solace. 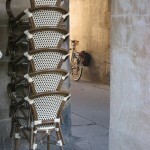 Distinct and divine.